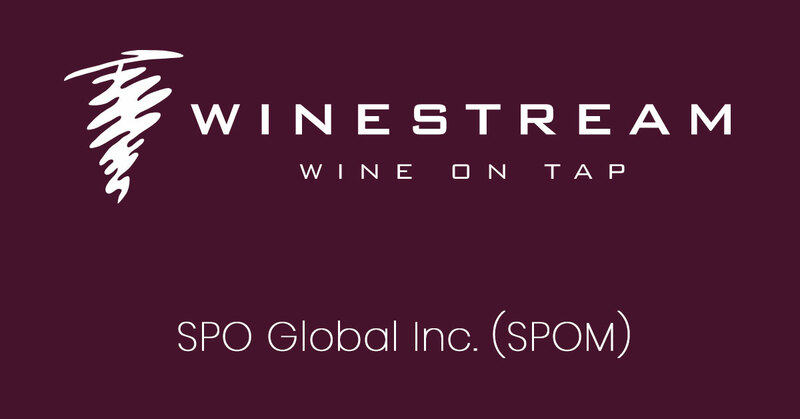 Max Boscaino, CEO of SPO Global, Inc. (“SPO Global” or the “Company”) (OTC Pink: SPOM) called in to SmallCapVoice.com to go over his Company’s business model, markets they serve, his background in the wine industry, the 2019 goals for the company and more. SPOM is a diversified holding company whose strategic plan is to acquire interests in young businesses, and provide financing, advice and guidance to assist them in realizing their potential. A company subsidiary, Wine on Tap, Inc., acquired specific assets of Wine Stream Inc. including key personnel and intellectual property, licensing and franchise rights. The Company has been able to utilize the strategic partnerships and relationships already in place to offer the same high quality products already offered in Florida by Wine Stream. For additional information please email [email protected] or call (404) 416-8066. This interview may include forward looking statements. These forward-looking statements generally are identified by the words “believe,” “project,” “estimate,” “become,” “plan,” “will,” and similar expressions. These forward-looking statements involve known and unknown risks as well as uncertainties, including those discussed in the following cautionary statements and elsewhere in this release. Although the Company believes that its expectations are based on reasonable assumptions, the actual results that the Company may achieve may differ materially from any forward-looking statements, which reflect the opinions of the management of the Company only as of the date hereof. SmallCapVoice.com, Inc. received $875 from a third party on behalf of the issuer on 4-12-19 for 30 days of service.